Protected: Brand New Against Me T-shirts From Impact Merchandising. November 13, 2014 by Break-Thru in Wholesale Only | Comments Off on Protected: Brand New Against Me T-shirts From Impact Merchandising. Protected: Brand New! George Harrison T-shirts! November 11, 2014 by Break-Thru in Wholesale Only | Comments Off on Protected: Brand New! George Harrison T-shirts! January 26 saw Ringo perform his song “Photograph” on the GRAMMYS, followed by him jumping on the kit during his old band mate, Paul McCartney’s performance. Ringo & Paul then performed together again the following evening, this time playing several songs for the Emmy Award-nominated taping of CBS’ “The Beatles, A Grammy Salute; The Night That Changed America,” celebrating the 50th Anniversary of their first U.S. visit and appearance on the Ed Sullivan Show. It was broadcast on the exact anniversary, February 9, and aired again February 12. It has also been broadcast internationally. In February 2014, Simon & Shuster published “Octopus’s Garden”, a children’s book based on Ringo’s lyrics. This book arrived on the heels of December of last year’s PHOTOGRAPH, the Genesis Publications book (http://www.genesis-publications.com/photograph-by-ringo-starr-the-signed-limited-edition/). PHOTOGRAPH was first released as an e-book in conjunction with The GRAMMY Museum exhibit “Ringo: Peace & Love,” a record-breaking exhibit that drew over 120,000 visitors in its run from June 2013 to late April 2014. It was also the first ever major exhibit to focus on a drummer. On July 7 John Varvatos announced that Ringo would be featured in his Fall 2014 advertising campaign and as Ringo joked, “making his dream to be a male model come true.” The campaign also benefited the David Lynch Foundation with a dynamic social media component in which fans were called to upload a photo of themselves making the peace sign and tagging the post with #peacerocks. For each photo tagged, John Varvatos donates a dollar to the Foundation. Marilyn Manson fans, rejoice! The title, track list and apparent artwork of the Antichrist Superstar’s upcoming album have been unveiled. The disc will be titled ‘The Pale Emperor’ and it will arrive in January. While no formal announcement has been made, the disc popped up on iTunes, with the full track list, artwork (pictured) and a Jan. 27 North American release date listed. The new song ‘Third Day of a Seven Day Binge’ has already been unleashed by Marilyn Manson. The tune, which is one of 10 tracks on the standard edition of the album, can be heard here. A deluxe edition of the disc includes 13 songs. Check out the full track list for ‘The Pale Emperor’ below. 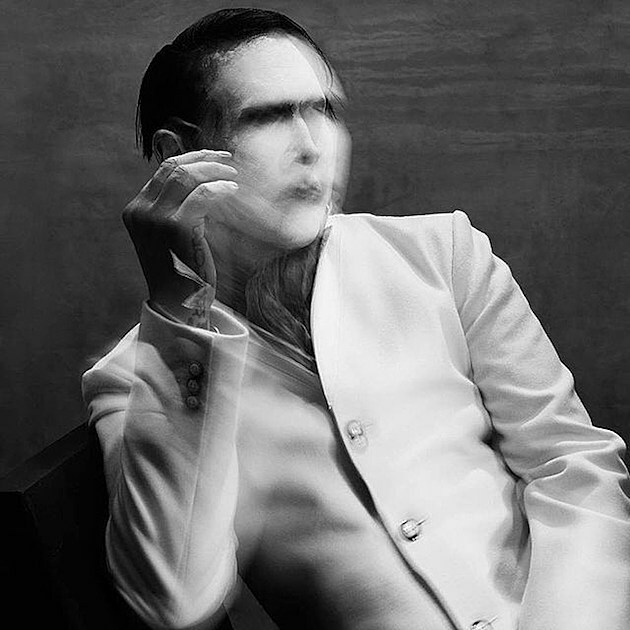 Stay tuned to Loudwire as more details on the new Marilyn Manson album emerge. However, the drummer is not out of the woods yet as he still faces charges of “threatening to kill,” as well as possession of methamphetamine and marijuana. 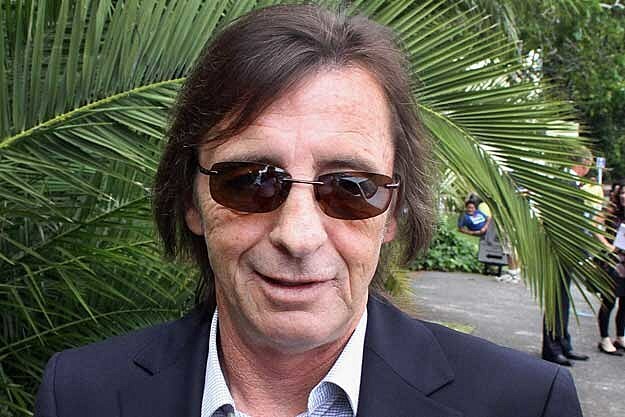 The AC/DC stickman had been accused of attempting to hire a hit man to kill two men, but the lead prosecutor in the case now says that the charges of attempting to procure murder (murder-for-hire) was without merit. Mabey adds that the two drug offenses are “minor” and that Rudd will fight the “threatening to kill” charge, for which he faces up to seven years in prison if found guilty. Stay tuned as more news develops in this ever-changing story. Protected: Zion Rootswear Introduces Bob Marley Lava Lamps! November 4, 2014 by Break-Thru in Wholesale Only | Comments Off on Protected: Zion Rootswear Introduces Bob Marley Lava Lamps! NAPALM DEATH and VOIVOD will join forces for a North American tour, aptly dubbed “Through Space And Grind”, in January/February. Said NAPALM DEATH frontman Mark “Barney” Greenway: “As a celebration of both the unconventional and more straight-out methods of musical attack, I think this tour lineup really hits home. “To think that 30 years ago I was marveling at the savage eccentricities of ‘War And Pain’ and now I’m sharing stage / living space with Snake, Away and co… surreal, almost. NAPALM DEATH will release its 15th studio album, “Apex Predator – Easy Meat”, on January 27, 2015 (one day earlier internationally) via Century Media Records. VOIVOD tapped Dominic “Rocky” Laroche to play bass for the band following the departure of Jean-Yves Thériault (a.k.a. Blacky). Laroche, who has previously performed with blues musician Steve Hill, made his live debut with VOIVOD on July 12 at Festival Jonquière En Musique in the group’s former hometown of Jonquière, Quebec, Canada. VOIVOD‘s latest studio album, “Target Earth”, came out on January 22, 2013 via the group’s own company, Iron Gang Factory, and Century Media. Two of rock’s powerhouse bands are teaming up to co-headline a U.S. trek in early 2015. Papa Roach and Seether will embark on a trek together in January, and they’re bringing support acts Islander and Kyng on the road with them. The monthlong trek kicks off Jan. 9 in Myrtle Beach, S.C., and runs through a Feb. 7 show in Las Vegas. Tickets go on sale this Friday (Nov. 7), with a presale starting Thursday (Nov. 6). Ticket info will be posted at seether.com and paparoach.com. We just spoke with Papa Roach frontman Jacoby Shaddix and Seether bassist Dale Stewart about the trek, and both musicians are excited to hit the road.